The new Toyota GT 86 will cost from £24,995 when sales start in June. That is the entry, on-the-road price for the all-new sports coupe; further pricing and specification details will be announced nearer the time of launch. Advance orders are being taken for the GT 86, with many UK customers already signed up to be among the first to take ownership of the car when it arrives here this summer. To find out more about GT 86, click here, or visit our online photo gallery for an even closer look. I ordered mine in December! I have one question. The red leather, is that the part red and black leather I have seen on the Japanese Model? We have yet to confirm the full options and accessories available for the GT 86 when it launches in the UK later this year, although we do know sport leather seats will be available. Please note, features may differ for models sold in different markets, due to customer demand. We will update the blog and the Toyota UK Facebook page as soon as we know more. Your local Toyota Centre will also be happy to answer an specific questions relating to your order. Many thanks. I have jsut seen the brochure for the UK GT 86. I says you have the option of Black leather with red stiching or red leather with red leather insert. Can I just clarify. Is that 100% red leather, or is it the RED and BLACK leather I have seen in the Japanese version. I see that it is wored cleaverly to confuse but shorly you guys at team toyota have decided on the options by now? Thanks for your interest in the GT 86, we can clarify that that the options are black Alcantara leather with red stitching and red Alcantara leather with black bolsters, I hope that helps. Excellent. Thankyou so much for your quick reply! I don’t suppose you can comment on the US Pricing or even a date that the pricing might be announced for the USDM Scion FR-S? Thank you and I can’t wait to test drive it here in The States. Thanks for your feedback. Unfortunately, we can’t comment on the pricing, specification or date for release of the Scion FR-S in the USA, however you can keep up to date by visiting http://www.scionfirst86.com/. We hope you enjoy your test drive! Any good finance deals on the way Toyota to help get one of these on my drive? The £24,995 on-the-road price includes delivery charge, number plates, 12 months’ road fund licence and Vehicle First Registration Fee. Finance deals for the GT 86 will be announced nearer to the time of launch. I assume that is with all the spec listed on the official page and excludes the sat nav, leather seats and auto gear box? 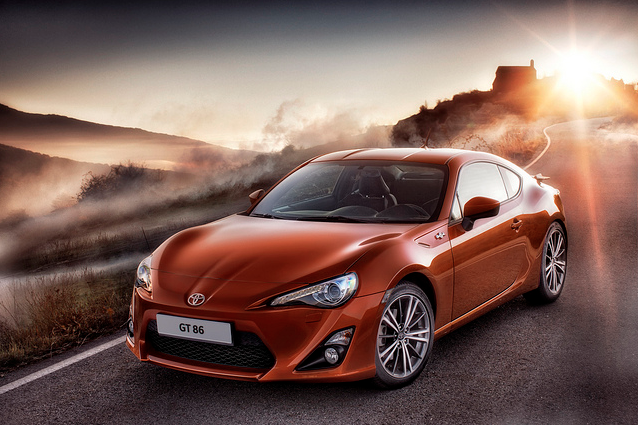 We’re pleased to confirm that the starting price for GT 86 includes the key specification listed on our website. The optional extras are sport leather seats, automatic transmission, metallic paint colours and the Toyota Touch and Go Multimedia system.